Spring is here! And we’re looking ahead to a fantastic second season with you! An old farm. A new vision. A passionate team. 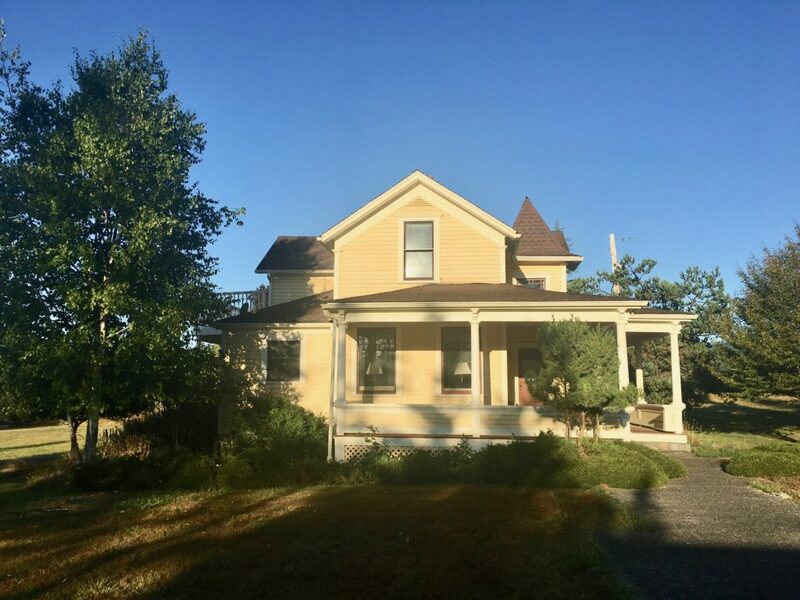 Once a dairy operation in the early 1900s, this historic farm became Glad Acres in the mid-20th century with a communal living setting. In the 1980s, it was the Moon and Sixpence Bed and Breakfast. And shortly after the start of the 21st century, the property became a biointensive organic farm. In 2017 the farm found new owners yet again, and here we are! 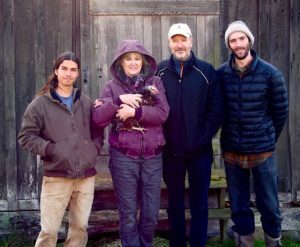 Each member of our team brings to the farm a unique set of passions and interests, and together we’ve developed a unified vision that incorporates land stewardship, healthy food, a love of learning, and appreciating the joys inherent on the farm. 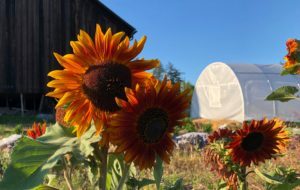 We spent our first full year, 2018, experimenting with a wide array of vegetables, herbs, flowers, fruits, and poultry. Now, we’re sharpening our focus. In 2019, we’ll be concentrating even more on those foods and flowers that our land will support and that our customers want to enjoy. 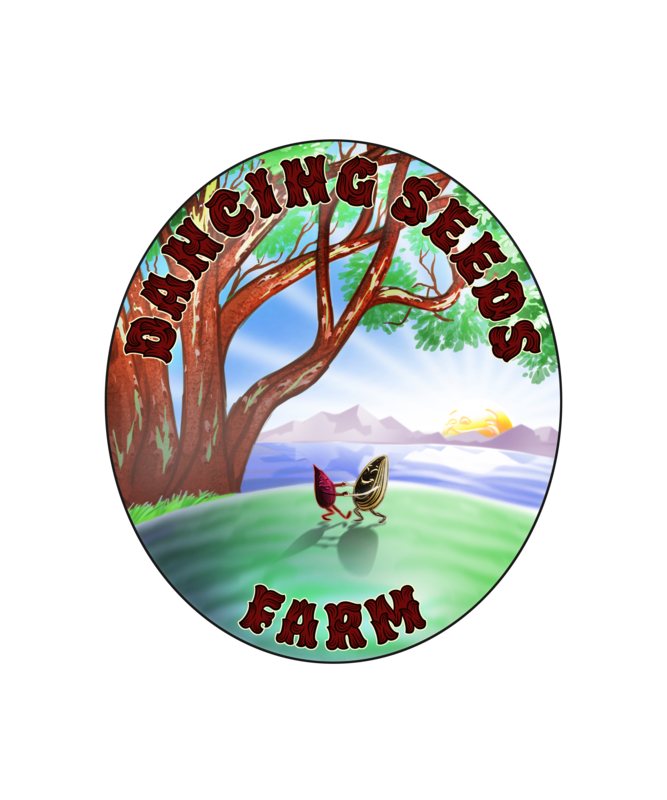 Join our mailing list or stop by our farm store to learn more! Spring update: We’ve organized our tools and inventoried our supplies. We’ve prepared our beds, ordered baby chicks, and planted our first round of spring seeds. We’ll be back at the farmer’s market in April and we’re looking forward to lots of delicious greens this spring: lettuce, kale, arugula, spinach, and specialty/Asian greens. You can also swing by the farm for some of the tastiest eggs on the island. Just give us a call to make sure we’re around! 360-622-2330.